Friday | November 11, 2016	Bakerzin Brings an Enchanting White Christmas in to Your Home. Have a heart-warming Christmas with your family and friends with Bakerzin's Christmas take-home menu. Light up the festivities with delectable indulgence from Bakerzin. Available form 11 November 2016, enjoy a convenient and sumptuous spread at home with a wide variety of traditional savoury and sweet gourmet surprises. Pick and choose your favourite dishes from the Bakerzin Enchanting White Christmas Takeaway Menu or select the festive feast packages that are specially catered for parties of six and above. Conveniently packed, simply heat it up before serving and the Christmas feast is ready! 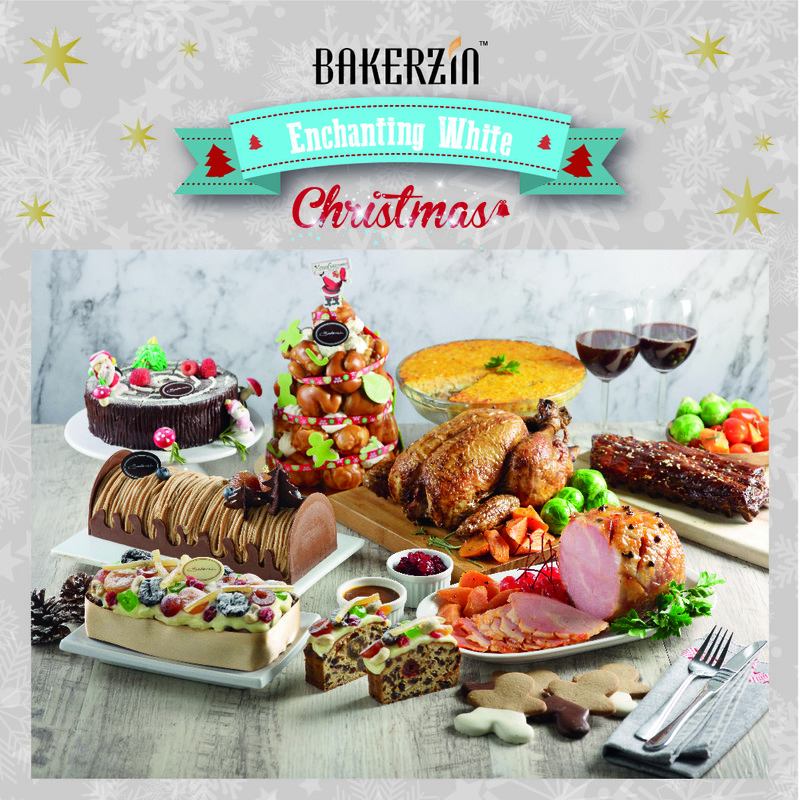 Bakerzin's Enchanting White Christmas Takeaway menu will go on sale from 11 November 2016. Available for orders online and Bakerzin outlets in Singapore. Pssst... Pre-order before 11 December 2016, 2pm and enjoy Early Bird Special 10% off!